After seeing the glorious sunshine and coastline of Croatia/Montenegro, I felt I had no choice but to jump off the bus at Dubrovnik. Jan and Michaela didn’t want to stay that night for different reasons but continued to move on to Mostar. I’d been there before yet my last trip to Dubrovnik was too short-lived to justify it. As I stepped off the bus I was greeted by a group of middle-aged women haggling for our money via their rented accommodation. A squat, old lady stood out. She quoted a price. I, at the time, had no idea of the exchange rate. Jan informed me it was barely 10 pounds so I took it. Other hagglers among the throng snatched out it was far from the old town but I took a punt on my old woman. She explained on the bus to the flat she was Italian with two sons but only had poco english. Her husband was called Bruno. I liked that. She knew everyone on the bus. She was no great vocabularist but was certainly able to confirm the same information over and over again. I have never said ok so much in my life. I would say she was generous in her 10minute estimate to the old city. 15-20 would be more accurate. The apartment however had a sea view. She showed me round, the bathroom, kitchen and two rooms. Mama No Lie, see. I liked this place. The view confirmed Dubrovnik’s magnificent position. I got up early to avoid the hordes of tourists, shuffling due to age and standing with confused attention as the guide talks. All walled cities are labyrinthine and Dubrovnik is one of the great surviving examples, with its smooth stone leading down lanes which are never straight. Like Kotor, it is a living city rather than a museum. Though again like Kotor, it would benefit from having some signs on the walls to highlight its history. After Dubrovnik, (Mama blew me a kiss as I left) I headed north to Split and home. Its difficult to understate the beauty of the coastline. Jan met me there along with Jeremy. We wandered around the seafront, took pictures and drank a few beers. Croats are less open than their neighbours. There seems a more internalised nature to them. Split is the gateway to the island tours, advertised either as majestic or an opportunity to get shitfaced on a boat. I didn’t have time or the inclination to take part. 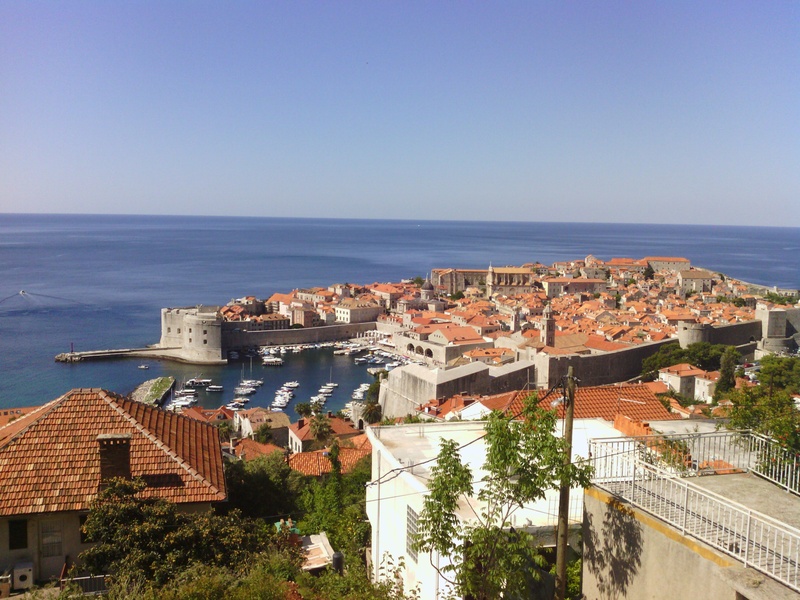 This entry was posted in Travel and tagged croatia, dubrovnik, montenegro, split by Dan. Bookmark the permalink.